I hope your September month is going well because I feel like September has been flying by! Lately, I've been super busy with college homework and making DIY projects. However, I can't say enough how happy I am to be making projects while in school, and having it be my job! I really am one blessed girl! One exciting project that I got to work on last month was writing a post for All Free Sewing! Now if you're not familiar with All Free Sewing, they are a website dedicated to all things sewing. This includes patterns, tips, articles, and tutorials on sewing. Since I create a DIY project once a month for Seams & Scissors, they asked me if I could write a no-sewing article for All Free Sewing! 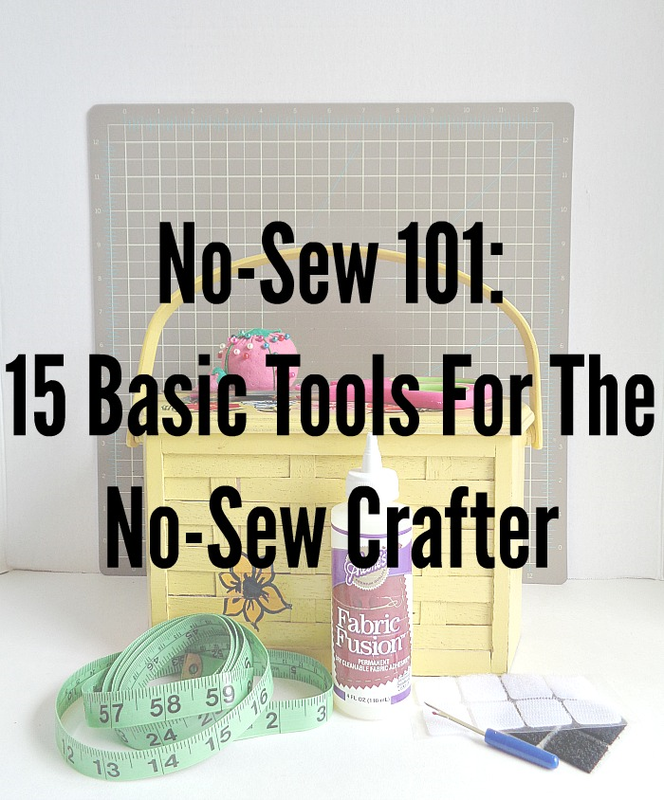 Needless to say, I jumped at the chance and wrote an article called ''No-Sew 101: 15 Basic Tools for the No-Sew Crafter''. The article itself includes 15 items that every no-sew crafter should have and a little description of why you (a no-sew crafter) should have it! If you loved my Craft No-Sew Guide: 10 Tools That Every No-Sew Crafter Needs, then you will probably love this article as well. So if you want to check out my article on All Free Sewing, then click here!